I have heard some different uses for drawn labyrinths on the show and searched the chats for people using a labyrinth on an altar but did not find anything. Has anyone tried this before? I thought about drawing a labyrinth and putting it on a money/job/business alter possibly like a petition paper under the candle to drawn in that which I am seeking. Thoughts? That is an interesting idea. For myself I do not think I would put a labyrinth under a candle on my money alter but maybe in front of the candle, anointed with money drawing oil and trace the labyrinth with my finger or a special pointer stick of some kind while praying form money to find it's way to me. Try it and let us know how it turns out! I was reading on http://www.luckymojo.com/moneydrawing.html where it says "After the cleaning, it is time to entice customers. Wash the front sidewalk and door stoop back inward with a fresh bucket of crub water in which you have mixed a little Money Drawing Hoodoo Oil plus a pinch of Suagr and a pinch of Cinnamon Powder"
but what is crub water?? I am not sure why you were not able to post but I merged your post into an appropriate thread. Hopefully it was just a one time glitch. crub is a typo, it should read scrub water, basically just the water you are using to wash your sidewalk and or mop your floors. I personally prefer the newer bills. 4th - Added all petitions to cleansed glass jar. 5th - Added spoon of Calamus, Comfrey, Fenugreek, Golden Rod, Grains of Paradise, Irish Moss, Patchouli, Rice and Sassafrass that were blessed by me. 6th - Added Allspice, Basil, Cinnamon Powder, Chili Pepper Flakes, Cloves, and Dill that were blessed as I added. 10th - Took one of my last dollars, ripped it in half, wrote on it, anointed it, cut it up and added it on top of the honey and stirred the jar. 1st - I took two green glass novena candles and washed them with soap and hot water inside and out, rinsed with salt water. 3rd - Set an altar with pine incense, the novena candles, and ivory house candles. 4th - Set the jar on a bare plate. 5th - Dressed a yellow spiral candle with riches oil and burnt it on top of the jar while thanking the spirits and envisioning my family with the money. 6th - Watched the flame burn high and bright with a few flickers almost in response to my prayers. 7th -Read 23rd Psalm and Meditated for 15 minutes. A) Should I have done any preparation on myself? If so, what? B) I noticed that the novenas burn very low with lots of crackle and popping, could I have added too much of something? Is that a sign of the overall work? C) Should I just keep relighting the novenas as they go out or should I scrap them? D) The jar contents are very thick in a mass, should I have measured the herbs and spices out better? Do you think the viscosity will cause a problem later on? D) Did opening the jar negate the earlier work I did? E) What do you normally do when you forget a spell step or ingredient? I am sorry but Lucky Mojo helps their clients with Lucky Mojo products. You mention a product that Lucky Mojo does not make or sell. Other than that, they look like good jars. When making a crown of success honey jar, how should one write the petition paper?? There are so many effective ways to write petition papers that miss catherine yronwode wrote a whole book on the subject: A Paper In My Shoe. You needn't wait until you can get hold of that wonderful book, though. Just write an affirmation or prayer from your heart and use it in your honey jar. Before you start, you can look up some scripture verses about blessing and prosperity, and let them inspire you -- even quote them outright. It's been a long time since I have been around. I kind of lost faith in hoodoo some time ago, as it seemed nothing I did worked or it made everything even worse. My life got so bad, I had a complete and utter mental breakdown and am now on disability due to mental illness. It's been a strange ride, i tell you. But I have come to some clarity. For one, I was always working hard at jobs that should have paid me much better than they were and all I would end up getting out of it is frustration. All I wanted to do was live comfortably. Not have to worry about living pay cheque to pay cheque and having some money that i can splurge on myself and have a bit of fun. Not necessarily rich, but content. I realize now that while i wasn't really able to buy the material things, like a new tv or what have you, but I did always manage to just squeak by. I now believe my motivations have been wrong. The saying goes "It is easier for a camel to pass through the eye of a needle than a rich man to get into heaven." My goal now is to open an animal sanctuary. I would like to buy a piece of land in Manitoba or Saskachewan, as it's still pretty cheap for a nice size parcel, away from everything. The animals would be the seniors from the shelters; ones that don't have a good chance at being adopted because of their age. My idea is that they can live on this land, explore as they will, or simply relax on the porch, farting to their hearts' content and not have to worry for the rest of their days. And what I do not need to spend on the animals, to be able to donate to other causes. How I want to pay for the upkeep would be to sell my artwork. Of course, I would need money for supplies to begin with and that's kind of difficult to do on disability. I have a job fair I am going to on the 10th of December. I am allowed to make up to a certain amount while still collecting disability. Unfortunately my mental health won't really permit me to work with others for long periods of time. So, my question is how would one go towards asking God for money to give away and to help others in need? The only "selfish" thought I have of this is that it would suit me to be away from the city and crowds. I can't handle being around people anymore and just want to be left alone to take care of those that no one else wants. I was wondering if anyone could suggest any spells/work if I would like to attract more money or a job to be able to afford a home for me with my dogs. have you considered partnering with somebody? What about trying to get donations through GoFundMe? i want to confide to you about how my spell working seems to not working...please help me and tell me what did I do wrong. about a month ago I ordered fast luck sachet powder. My motive in buying fast luck sachet powder was I wish I could get big money from the daily lottery I played. Thank you Miss Aida for your speedy reply. So far, you are the only person that seems to like my idea. Everyone I have told it to told me to give up on it as it's little more than a pipe dream and wishful thinking. I am leaning towards starting a gofundme account towards the supplies. I also asked the Saints to help me win the lotto so I could put the money toward that and donate the rest. Since I didn't specify an amount, I won a dollar! Lol that was awesome. I believe I have a bottle of all lucky mojo's money related type oils. And I have an oil lamp that I haven't used in a while for money and work related prayers. I have a lodestone and pyrite, though no magnetic sand. i'll continue reading and see if there is a spell that catching my eye or draws me, if that makes sense. could the pay me candle help me with this and is there anything else i could use. Looking for some quick works to draw in money hitting a casino for a few days next week my first venture since the passing of my father, I’m looking to draw money to save my family home which will be going to auction Feb 5 if I cannot get the bank to work with me as they’ve been giving me the run around after contacting me to see if I had interest .... longer story than I can explain. Since your asking about gambling I suggest this thread - spell-casting-for-gambling-play-at-casinos-t10258.html - It has many good suggestions. Greetings and blessings everyone! My question is about casting two money spells with very similar goals but utilizing different systems. I'll try to make it short. I have been planning to cast a cash/prosperity hoodoo spell this month. However, I came across a book entitled "The Magical Cash Book" by Damon Brand and began working with it. Mind you I just started so the results have not yet manifested. The book provides step by step instructions to work with a genie called Nitika. This is to manifest a specified amount of cash. This approach is not really tied in to a lunar cycle. With that said, the other money ritual I intended (or intend) to perform is based on the lunar cycle to be cast during the waxing moon on a Thursday. The intention behind that spells is to facilitate a more perpetual stream of income and abundance. Question is, can I perform both rituals within the same lunar cycle or overlapping one another? Or is there a risk that the results might be sabotaged if the Universe perceives this as me pushing the envelope too much? This is a forum about hoodoo, not genies, so i can't help you with that end of things, but i see no ""upper limit" on the number of spells you can work. Did someone give you that idea? If so, ask them why ... it is not something i ever hear of from folk magic. Hi Catherine, thanks for your response. To be honest, I’ve read, and some have shared this as well, that casting more than one spell for the same purpose within the same timeframe could work against you or the universe can perceive this as “nagging” on your part. The second issue is working with two magical systems within the same timeframe to achieve the same ends. But I believe you just answered that concern above. I’ve been exploring Hoodoo as well and my second money spell is actually based on a Hoodoo formula. Just wanted to make sure that both aspect of the work do not interfere with one another. Why would the "Universe" get mad at you for "nagging"? I think somebody is projecting their own experiences with mean parents onto The Divine! LOL! It's an interesting perspective. The language was used metaphorically as it pertains to the universe perceiving your persistent request as a "nag". "Mean parents onto the divine"... That is funny! I think that when it comes to magic there are two broad approaches. One whereby you are seeking assistance from the Divine in its various form throughout your work. And the second whereby you are working to manifest your will by manipulating the energies without directly invoking the Divine. I think that the latter is what some are referring to when persistently working on multiple approaches to reach the same ends. I like to mix things up sometimes and I realize that often you tend to overthink certain things. When it my mind gets fogged up, I like to get other's opinion. This thread -- the "General Money Spells Questions and Answers" is not intended to be a dumping ground for people who cannot figure out where to post their current situation or life story. 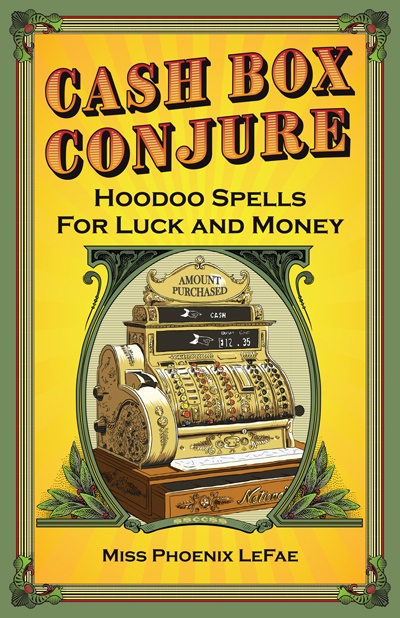 If you came to this thread to ask about the history and practice of money spells IN GENERAL, then you are at the right thread! Hurray! Those are SPECIFIC money situations -- and we have almost 60 different topic threads to cover those and other specific money situations. This is the thread about money spells in GENERAL. PLEASE, i beg you, as an overworked admin, don't do this to us. PLEASE post your SPECIFIC money spell questions in one of the 59 other SPECIFIC money spell topic threads. I hope things rule in your favor. Not sure what the process is, but I’m sure it may involve attorney and the courts. If that’s the case here are a few things you may want to do. Do a sweetening spell on the parties involved if you have names add the names. This way you can sweeten them up in your favor. I am looking for help with spell or anyway you can advise me, I need help on money problems and success in my career, I need to draw money to come to me, attraction, and be a successful church leader and business man. Welcome to the forum. There are many products and items you can use with this request. These oils can be combines, LM also sells these products in incense and sachet powders, and baths which incense is burned, powders applied to items or sprinkled, and bath used to wash yourself and dress you. These items can be used to make mojos, mixed and sprinkled on a candle, burned on a charcoal burner etc. I have been forex trading for a few years and was wanting to know of spells to help this take off, to have it my full time income. You asked this question already and I guided you to the thread with advice on success in business. Please do not cross-post the same question in multiple threads, as it is against forum rules. I won't issue a formal warning this time since you're new but do please familiarize yourself with the rules of the board (also provided to you) and post accordingly. Hi.. l have one question... lf l doing some money candle "job" for my friend without he knowing that,how should l dispose spells remains ?! ..
l can't bury at his house(yard). You can mix the remains with dirt and sprinkle them onto the threshold of the business door or put them into a mojo bag, dress them with an appropriate condition oil and present it to your friend as a "good-luck charm" gift. Hello. Hopefully I'm posting under the right category. I wasnt able to start a new post. Im needing assistance with a dilemma. I was diagnosed in 2005 with cancer and received SSI. I was off work for over a year and returned on and off due to several surgeries. I kept SSA updated on everything. I spoke with several agents there and explained my situation. I was instructed on the months I made more than $800 to call and report it, in which I did. I kept a log with conversations and dates. Unforunately my residence caught fire in 2014 and all my documentation, faxes, etc was destroyed. They are now requesting that I pay back over 64,000. Im currently not working awaiting a heart transplant, which chemo damaged my heart. I would like to visit their office on Monday and was wondering if whether there's a spell, candle or anything I can do to get assistance with this matter. I would like to either get the amount waived or reduced significantly. Im trying not to stress over it, but this has came at the most inopportune time. First of all, I am so very sorry to hear about your illness and I wish you all the very best for your coming surgery. You have more than enough on your plate and the last thing you need is for SSA to demand money back from you. To help you successfully deal with the SSA's claim that you are in debt to them, here is a thread that could help you navigate that situation. Pay Me products help you get the money that is coming to you. This would be a good choice for your situation. I would also consider the Law Keep Away spell kit, to help keep the government off your back while you sort this out. For your surgery, please read through this thread which includes wonderful advice for spellwork to support you safely through it. You can also have the Missionary Independent Spiritual Church set lights for you, especially while you are in and recovering from surgery (Blessing or Healing would be a good choice). I know I've given you a lot of links to read through, but I think it's helpful for you to gain spiritual assistance in all of the aspects of your situation. I will keep you in my prayers and wish the most successful outcome possible for you. Please keep us posted on how you are doing. It is not uncommon with government employees to face these types of incidents. Using crown of success products is a great way to be victorious in these cases, and also using a honey jar to sweeten them to you in the case/situation to support you. I looked on the forum and couldn't find a thread or a post reply on a thread that addresses this so I'm putting it here. I do general money and wealth spells and work at my money altar and have recently added a lodestone to it, but I want to do some regular work on my stocks so my stock investments do well and bring me money. What can I do at my altar for this purpose? Crown of success? Wealthy way? Thanks Jaydee! I was thinking of the king Solomon also! Appreciate your help. im planning my first ever Hoodoo ritual and i would like to share my plan as im curious about your opninion, that i do it correctly. The ritual includes candle lighting and mojo making for money drawing. I really appreciate any help, advice, ideas. Planned date and time: 14th of February, Thursday, after 6 pm. This day is in the waxing moon, Thursday is the best for money matter works and after 6 pm the clock is rising. I would start with carving my green candle, name and birth date, then dress it with money drawing oil (from bottom to the top) and money drawing sachet powders. I would continue praying over with Proverbs 10:22 and 11:24-25 again and telling my goal with it, then knock it, 3 times bottom on the altar and 3 times on the top with my fists. After that i would create a name paper, target name 3 times, then turn the paper and 3 times on the name: „you are rich and successfull”. Then light the candle with a prayer. While the candle is burning, i start to create the mojo. While putting the items, i will conjure their spirits to help my work and if everything is in it, then perform the breath of life, knot the bag and anoint it with money drawing oil. Finishing with smoking it with money drawing incense powder and praying over it to come alive. When the candle is almost out, i would lit the name paper under it and take the ashes and leftover wax for later, as i plan to do a doll-baby ritual later and keeping the doll in the box. I dont plan to cleanse myself after the ritual to be able have the oil on my hands as long as possible. I hope i dont miss anything, thank you for the help and your time to reading my plan. In regards to your timing, do you live in the US? You may want to also look at friday as an option. Reason being is that in the US, friday is usually "pay day". For your mojo - you don't NEED every type of item (leaf, roots, seeds, flowers, bones, stones, etc), you can do well without seeds or an animal curio. There are bags that are all herbs, or all minerals. The books listed and the course would greatly increase your confidence and understanding of the work. I wish you luck! thank you very much for reading my plan and your advices. Unfortunately i live very far away from you, in Hungary, Europe, but im also very devoted and dedicated in learning Hoodoo. 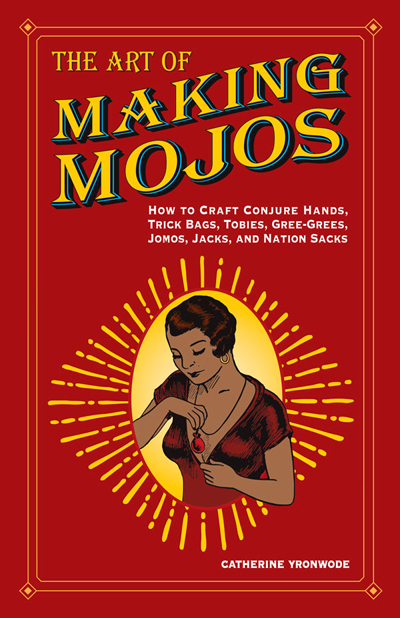 I already have all the required books necessary to the course, also The Art of Making Mojos but i havent started it yet, i read black folder now and planned my mojo making according to that. But you are totally right, i will try to read everything about mojos first. I planned a "formal" cleansing to start with clean hands and also taking into consideration my collection. 7 herb can do the trick or i should switch? I have 13 Herb and Hyssop herb but they are part of other spell kits i ordered. Yes, i do it for someone else, i already have his nails for personal item and i think i can get some hair too. I would use his name on the candle and name papers. I also plan to create a doll-baby for him and keep it in a safe place with money drawing curios and pray over it from time to time. Is it ok? Do you think there are other details i should watch out for? I definitely want to have the course, even if im so far away, im very dedicated. I try to learn as much as i can, start to practice the work and try to have all the requirements that is necessary to sign up and accepted. I read the books, read the forums, doing my own notes, different notebooks for different topics. I hope it will happen one day soon. Again thank you for your help, it means much to me. I assume you mean 7 HERB SPIRITUAL BATH - http://www.herbmagic.com/7-herb-spiritu ... 1-day.html which is "alleged to draw luck in love, money, and games of chance." Not so much for cleansing. If your intent is as you state, to "start with clean hands" I would follow my advice about Psalm 51 and hyssop or the 13 HERB SPIRITUAL BATH. I have to applaud you for your dedication to learning, but I urge you to reconsider doing work for others right now. As you said, this is your first work in the Hoodoo tradition and at the very least I hope your not charging for your services, and this is a friend for whom you are doing work. In this way, you can have a knowledgeable worker help you and walk you through step by step what to do and answer any more questions you may have. thank you, ill follow your advice regarding the cleansing. No, i dont charge anything, i started to learn to help my friends with their life and sometimes mine too. Its better to start with rituals for myself? I already have plans for friends who are stuck in different parts in their life, i would love to help them. Ill definitely check your links and the proffesional rootworkers, some guidance would help me much. The only difficulty is how to choose? There are lots of professionals. We're beginning to get off the topic, however I personally would say yes, it is better to start to do work for yourself. This way you can learn how to work with these things yourself, before trying to help someone else and in essence, teaching them how to use it and also seeing how things manifest so you know how to explain to someone else what to look for and how to gauge success. This is the reason I asked if you were working for yourself or not as it does make a difference as to how the work is done and carried out. For instance, you said "i think i can get some hair too". If you are working for this person it shouldn't be very difficult, as I assume they know your working for them because your making a mojo. Not to mention they will be the one to carry the mojo. Since the mojo is not for you, they should be the one to carry it. They'll also be the one to feed it. You also mentioned, "I dont plan to cleanse myself after the ritual to be able have the oil on my hands as long as possible." - Again, the oil you will be applying to the candle and/or mojo will be for your friends prosperity, not yours. It doesn't matter how long you keep the oil on your hands as the work was not for you, but your friend. You carrying it and feeding it does not benefit your friend. When working for others, its not necessarily a bad idea to cleanse yourself after just to remove any connections, ties, or energy to the work or the client. Not always necessary, but it certainly can't hurt. As for choosing a professional reader or rootworker to work with, that choice is up to you. From that list I gave you, read each person bio, find a few you resonate with and email them. Depending on your budget and schedule, choose the worker that best fit those conditions. One thing you may look for is that the worker does work with mojo bags, since this is what you will be getting coaching on. If you have any further questions, not directly related to "General Money and Business Spells" please find the appropriate forum and ask there. I hope this clears up any confusion and helps you find a steady footing in your journey forward. Good Luck! Thank you, you helped a lot to me and ill follow your advices. Have a great day! Hello LM fam! Hope i am posting this question in the right thread. I wanted some suggestions on getting a desired pay for a promotion thats coming up for me, I have already been selected for the job I am waiting to hear from the recruiter regarding the offer letter and pay. WHich is going to happen in 1-2 weeks. I wanted to start working on the Recruiter and my Regional Manager who will be presenting the offer to me, but i want to make sure i get the highest pay possible. WHat would be a effective way for me to get the salary i desire? Any advise and suggestions is appreciated thank you in advance. Honey jar to sweeten them to you with a petition stating how much you want to be offered. A mojo to wear that has pyrite in it and a lodestone along with money drawing herbs. Dress it with money come to me, steady work, and or wealthy way oil. Wearing a paper in your shoe with their names on it and stepping on it frequently as you state your petition, wear this to the meeting as well.Boss fix is another great product for this work. Wear crown of success on your hands and head with the intention of being successful and making the most at this job. It is also custom to carry gravel root when asking for a job or promotion/pay increase. Hi! Just received my Money Stay With Me Spell Kit and I have a question regarding the execution of the spell. The spell relies heavily on “cash in hand”. I generally don’t carry cash and I can tell you that I have very few paper bills in the house. There are quite a few jars/bowls of change but not a single $20 bill - and I’m not sure why this would change moving forward as I live a pretty digital life when it comes to money. Would it be acceptable to “seed the spell” by going to the ATM tomorrow and intentionally taking out cash so that I have bills to work with or is it important to “start with what you’ve got”? Thank you in advance for your help.